Many designers become successful when they start creating something they couldn’t find in the shops. 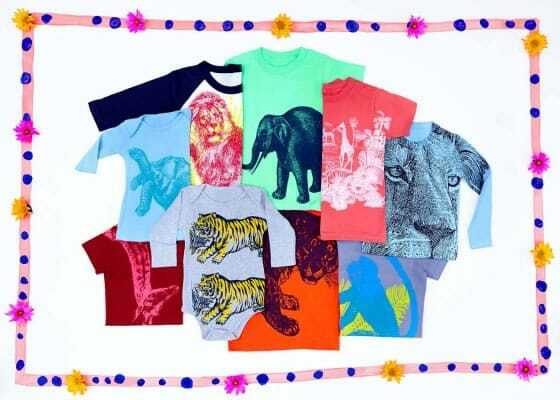 Such is the story of Jann Cheifitz and the Lucky Fish brand, offering unique hand-printed T-shirts. Why people love to buy Lucky Fish products? Despite all the diversity of styles and designs, or perhaps favoring the basics being as simple as possible, it is often the case that you lack clothes which truly bring out your personality, which you’re excited to wear. First and foremost, clothes should be functional, and, preferably, not too expensive. We’d all agree to that, but occasionally, everybody needs to take a break from the ordinary and treat himself or someone else to something special, and at such moments Lucky Fish amazing designs are exactly what you need. Inspired by nature and different cultures, they are as fantastic as travelling through time and around the world to pick a perfect item for yourself, or a perfect gift to delight someone who is very special. They become favorites to be treasured for years. All Lucky Fish products (t-shirts, pillows, bags, masks and other accessories) are made in the US, with only hand-screen print techniques being used, so each one is a work of art.